PLP is part of a wider current interest in probabilistic programming. By promoting probabilities as explicit programming constructs, inference, parameter estimation and learning algorithms can be run over programs which represent highly structured probability spaces. Due to logic programming's strong theoretical underpinnings, PLP is one of the more disciplined areas of probabilistic programming. It builds upon and benefits from the large body of existing work in logic programming, both in semantics and implementation, but also presents new challenges to the field. September 21st 2018: Proceedings are online. August 6th 2018: Program is online. May 9th 2018: Registrations are open. March 20th 2018: Invited Speakers announced. March 16th 2018: Join us in the RAID2018 group to receive all the latest news immediately. January 17th 2018: Submission instructions and Important Dates are online. December 20th 2017: the Program Committee is online. The workshop will be hosted by the Department of Architecture (Tassoni Estense Palace) of the University of Ferrara, in Via della Ghiara 36, Ferrara, Italy. 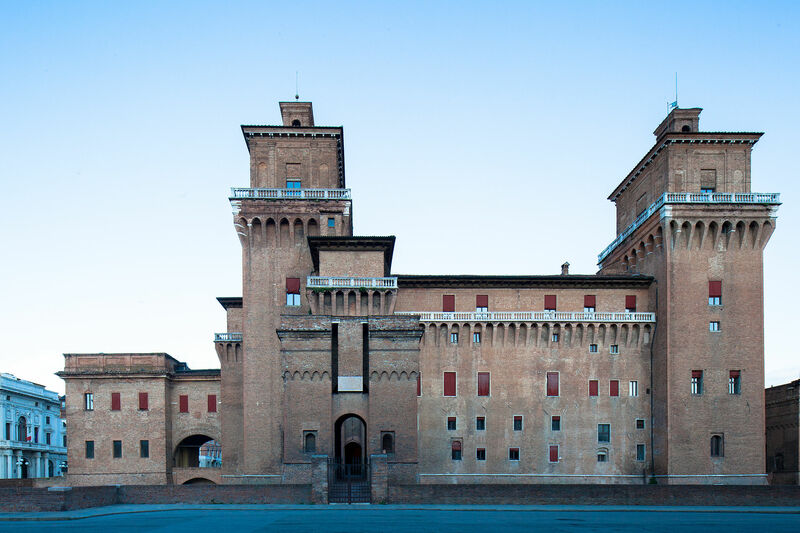 For more information about getting to Ferrara, please see here. For accommodation, please refer to the ILP 2018 website: http://ilp2018.unife.it/accommodation. Submissions will be managed via EasyChair (https://easychair.org/conferences/?conf=plp2018). Contributions should be prepared in the LNCS style. A mixture of papers are sought including: new results, work in progress as well as technical summaries of recent substantial contributions. Papers presenting new results should be 6-12 pages in length. Work in progress and technical summaries can be shorter (2-5 pages). The workshop proceedings will clearly indicate the type of each paper. At least one author of each accepted paper will be required to attend the workshop to present the contribution. The fee for participating in PLP 2018 is 50€ before August 15th and 70€ after. It includes coffee breaks and lunch. Registration is managed through the RAID registration system: http://raid2018.unife.it/registration/. Registrations are open from May 9th to September 1st 2018. CEUR Workshop Proceedings are online at http://ceur-ws.org/Vol-2219/. A Special Issue on Probabilistic Logic Programming is open in the International Journal of Approximate Reasoning. We welcome submissions of (improved/extended versions of) papers that were presented at the workshop, as well as new submissions on all topics of the workshop. For more information, please see the call for papers on the IJAR website.